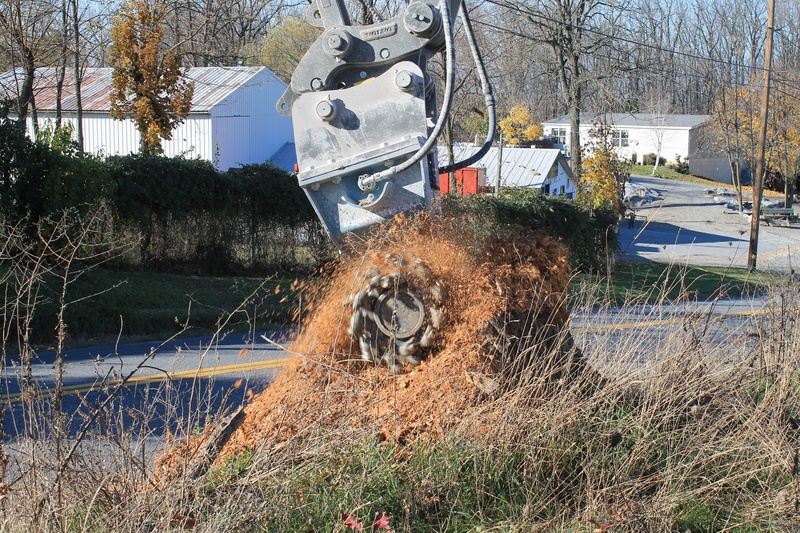 D20 Rockwheel for rapidly removes outcropping limestone....then grinds some large stumps! If you live in Pennsylvania, USA chances are there is underlying bedrock which at times is exposed at the surface as outcroppings. This prevalence of rock (limestone, shale, & sandstone) presents a challenge for any form of earth work be it trenching (sewer and water), preparation of foundations for buildings, grading along roads, and even farming where outcropping rock can damage expensive planting and harvesting machinery. 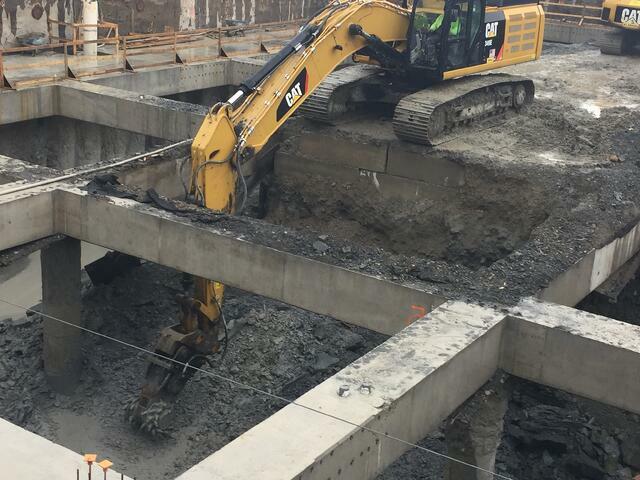 The traditional solution to this problem is to use hydraulic hammers. While these tools can get the job done, drawbacks exist. Hammers (a.k.a. breakers or hoerams) are very loud and have high vibrations which affects the surrounding rock mass and upsets neighbors. In addition, hammers are not capable of precise removal of the rock. Overbreak is a common problem resulting in extra time and expense. Moverover, the large chunks of broken rock cannot be reused without additional crushing otherwise it musted be hauled offsite which is costly. 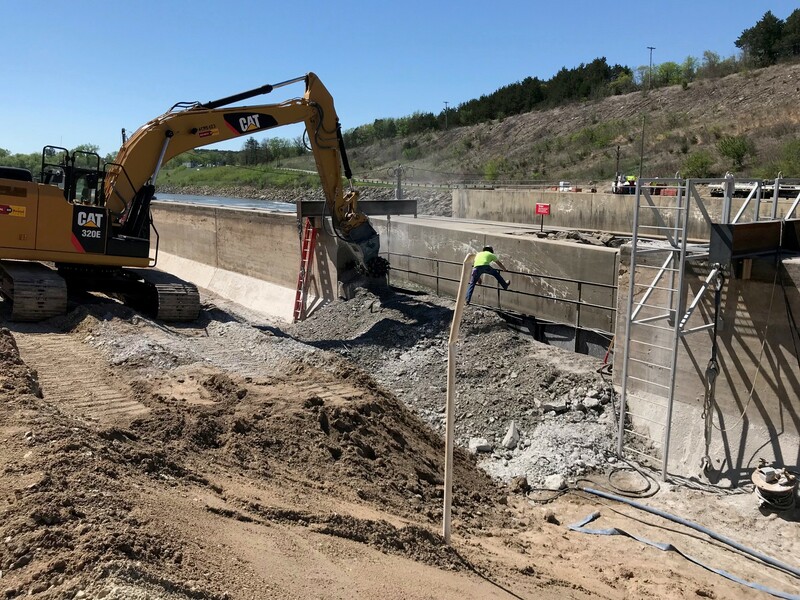 There is frequently a need to remove only a thin layer of rock, say 6"-12", but with hydraulic hammers twice that can in inadvertantly removed. There is a far more efficient and economical option. 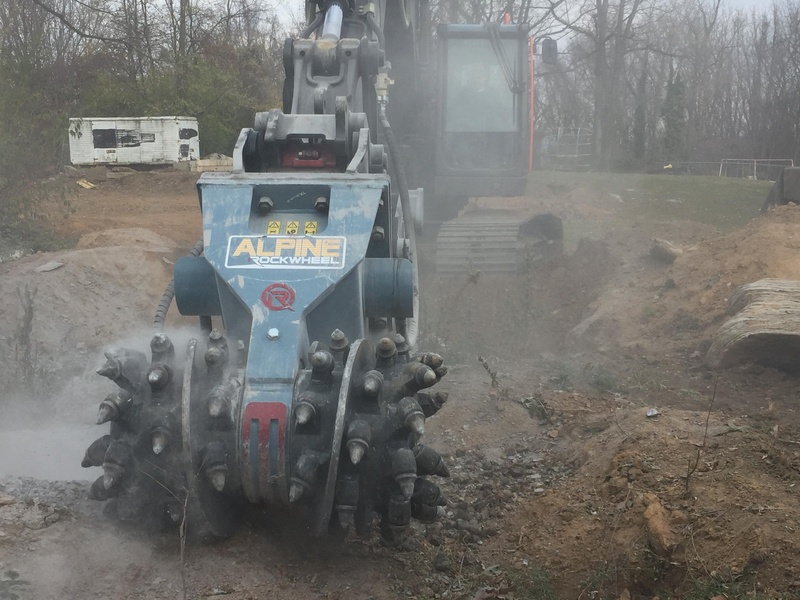 Alpine Rockwheel rock and concrete grinding attachments are the solution. 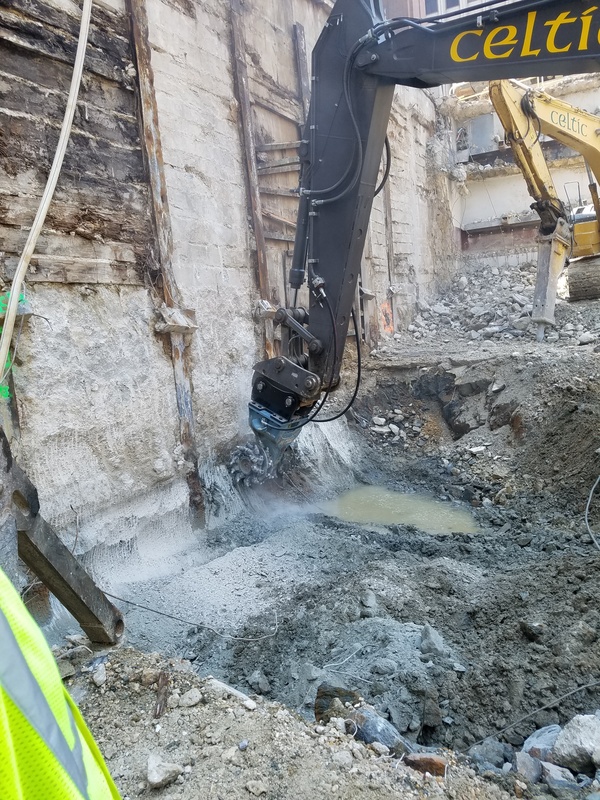 These excavator mounted rock and concrete cutting attachments can rapidly remove the rock to a precise cut line (within 1"-2" with a skilled operator, or better when a depth control guide is used). 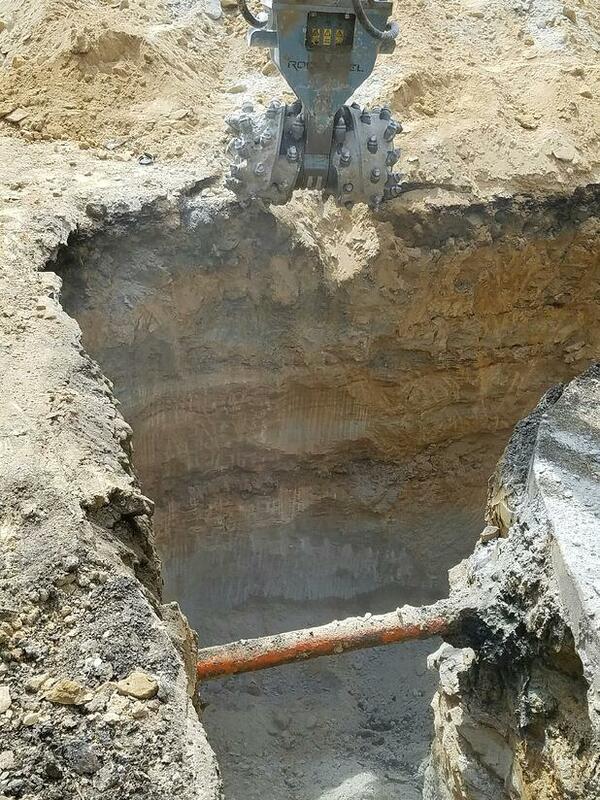 Moreover, in trenching or footer jobs, rock grinding attachments leave smooth walls, sharp corners and flat bottoms. Trench profiles with rock cutting attachments are slot shaped compared to the V shape common with hammer. This means you're not excavating unnecessary material. Finally, you're left with a crushed stone that can be reused as backfill. 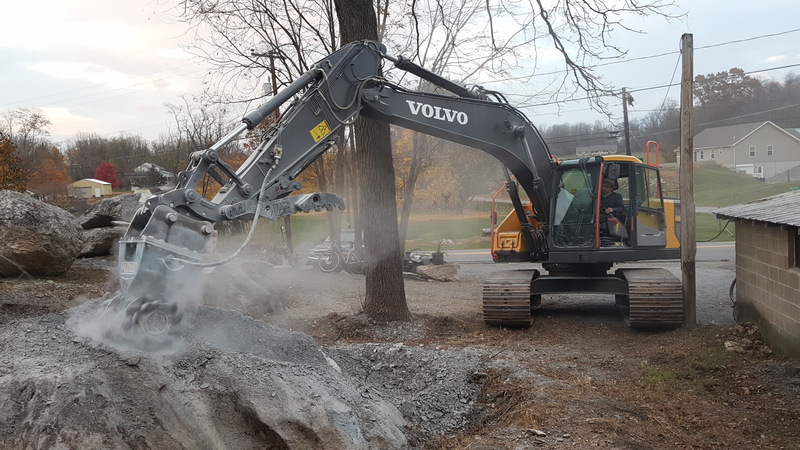 This winter a business owner in Shippensburg, PA wanted to expand his builiding but immediately adjacent to the existing struture was a 6-8 ft thick limestone bedrock outcrop in the way. 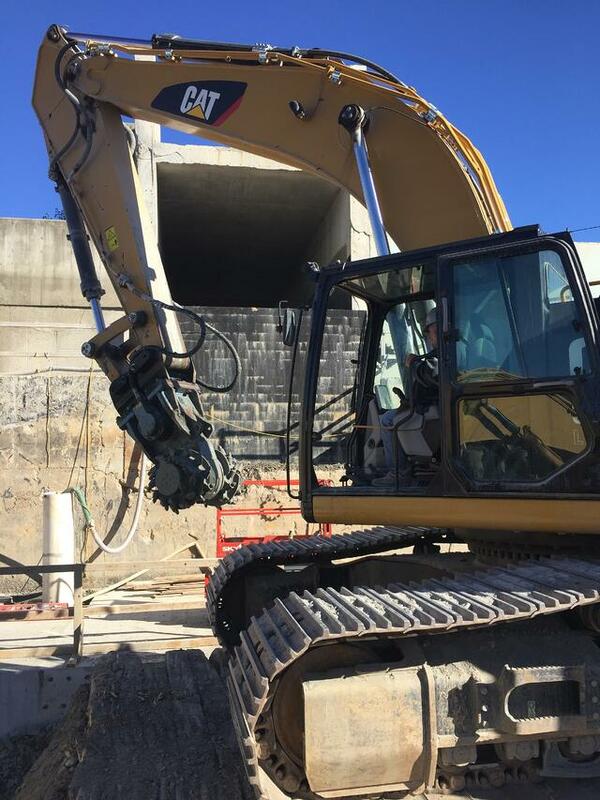 The customer decided to use a D20 (95-hp) Rockwheel excavator mounted rock grinder (Rockwheel) on a Volvo EC220. 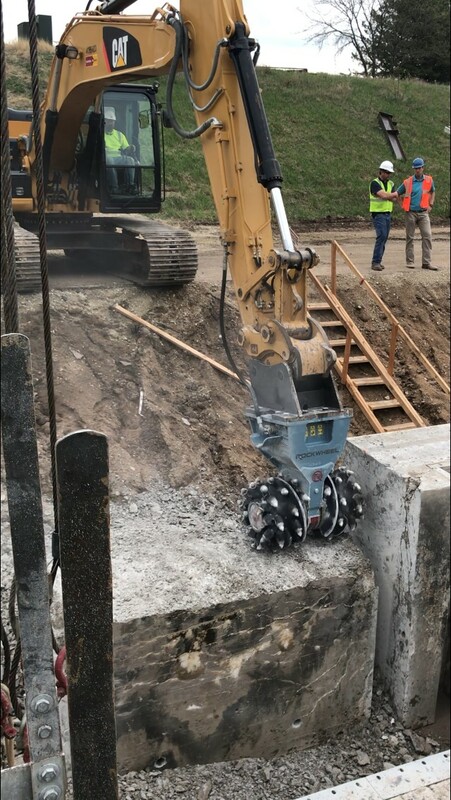 The Rockwheel is powered by the standard auxilliary hydrualic kit of the excavator and installs like a hammer with a simple two line system. With a peak torque of over 13,000 ft lb, the Rockwheel was very affective and made quick work of the rock removal. 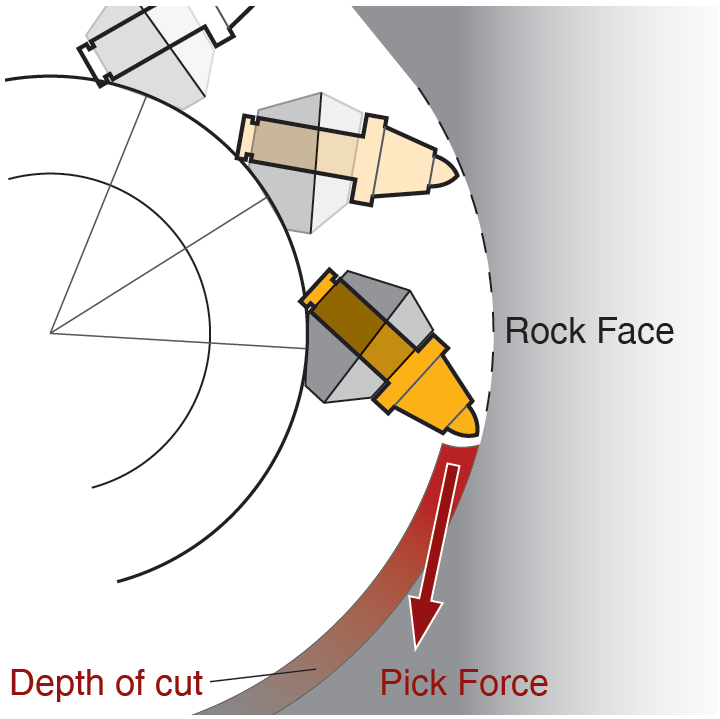 The excavator operator quickly learned the correct down pressure to maximize rock cutting performance and was impressed by how smooth the D20 cut, espeically compared to using a hammer. Once the main job was done, they installed a set of wood cutting teeth and removed several large diameter stumps. All in all, it was a very successful job! 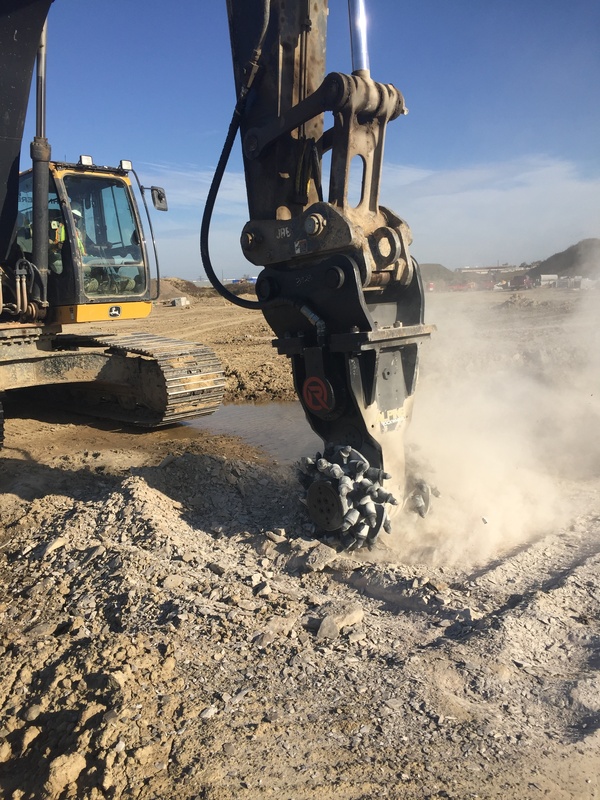 In a head-to-head trial the Alpine Rockwheel model D30M (mining version) hydraulic rock cutting attachment was found to cut smoother, stronger and more continuously when compared to a competitive unit the customer was testing. This was an ideal comparison because the same excavator, operators, and rock types were involved, minimizing variables. The smoother cutting was largely attributed to the drum shape and pattern of teeth on the cutting drums. 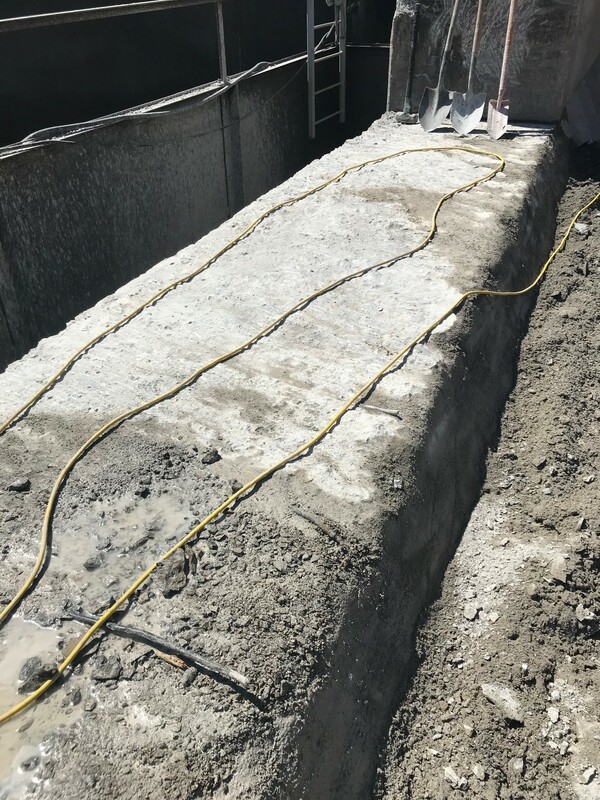 A higher density pick lacing with optimal spacing for limestone rock was developed by Alpine specifically for this type of mine scaling job. In addition, Alpine made sure the drum speed and torque were optimized. 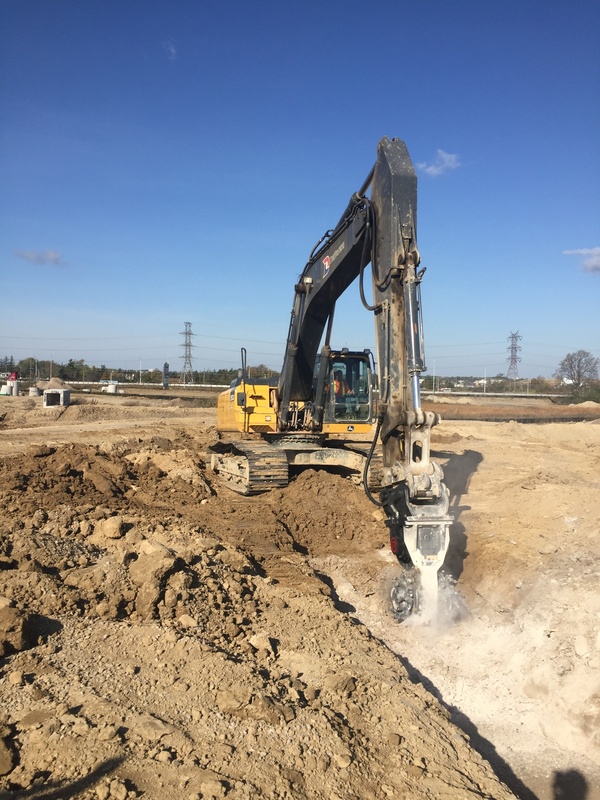 Other features of the D30M include: heavy duty housing, square drive shaft, simple 2-hose system, integrated water sprays for dust suppression, and innovative valving to protect the hydraulic motor. 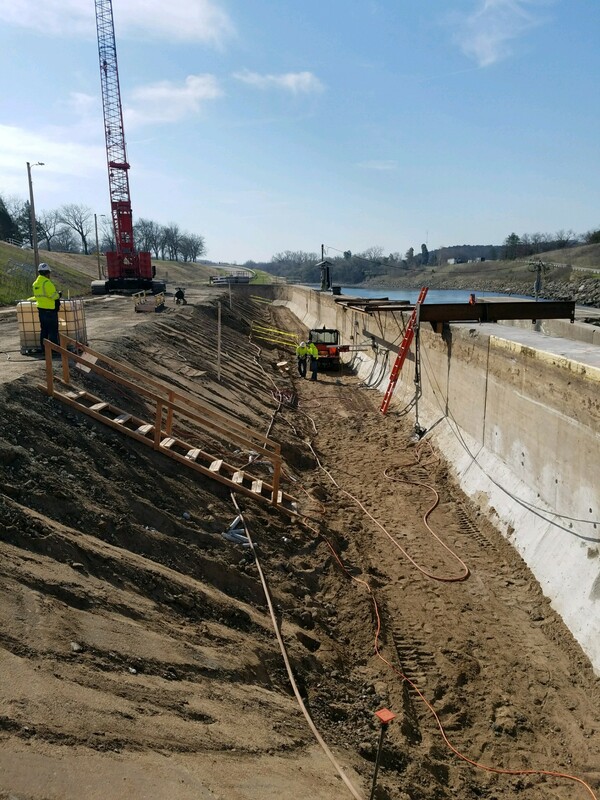 There was less wear and tear on the excavator and the consumption of carbide teeth was signifiantly lower which offers signifiance savings and minimizes downtime. 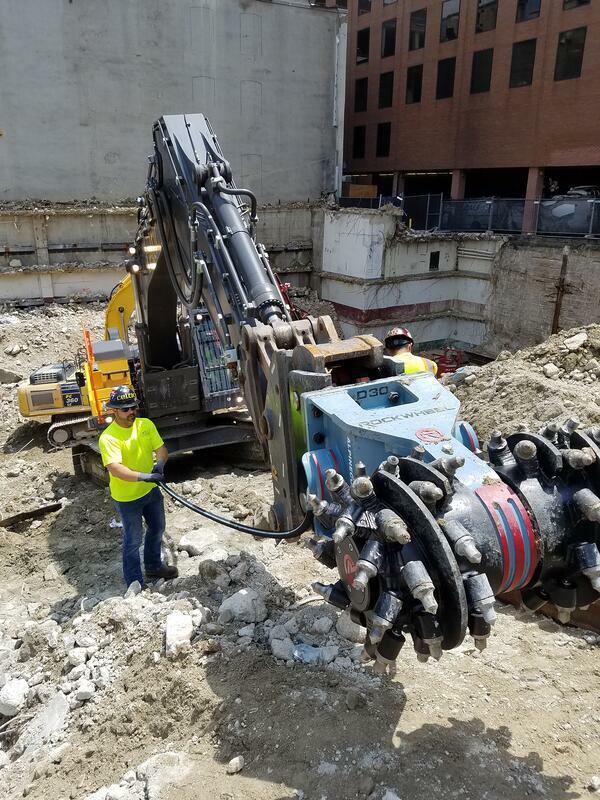 Hydraulically driven rotary cutterhead attachments are rapidly gaining popularity in underground drill-and-blast operations. Mine manages tell us that excavator based rock cutting machines reduce scaling time by 50+% saving several hours per day. In addition, there is less hand scaling and the need to re-scale an area because of failed inspections is practically eliminated. 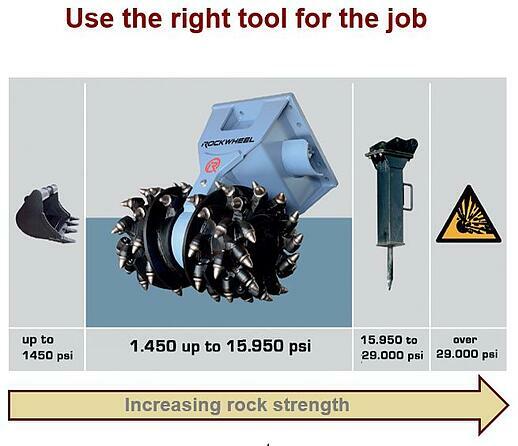 Alpine Rockwheels represent the most advanced and robust hydraulic rock grinding attachments on the markets. Excavator mounting rock cutting machines are available for carriers of all sizes from 2 to 100+ tons. Contact us at www.alpinecutters.com to see how these tools can improve efficiency in your operation. 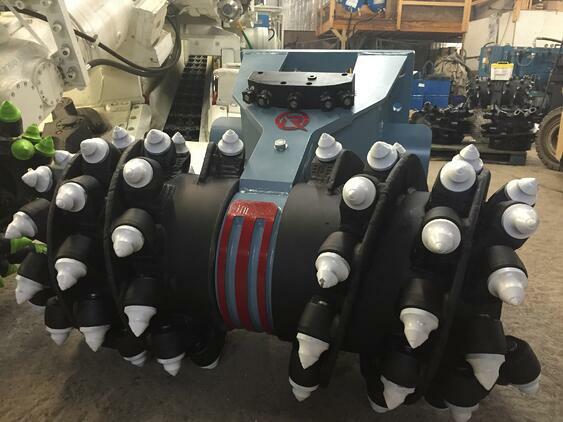 The Alpine D10 Rockwheel is the tool of choice for cutting potash. Here you see the tool working in the Canadian potash mines for scaling, floor leveling, and trimming the back (roof) of the tunnel network. This 40-hp (30-kW) cutter is part of the Rockwheel product line that ranges from 13 to 300-hp. 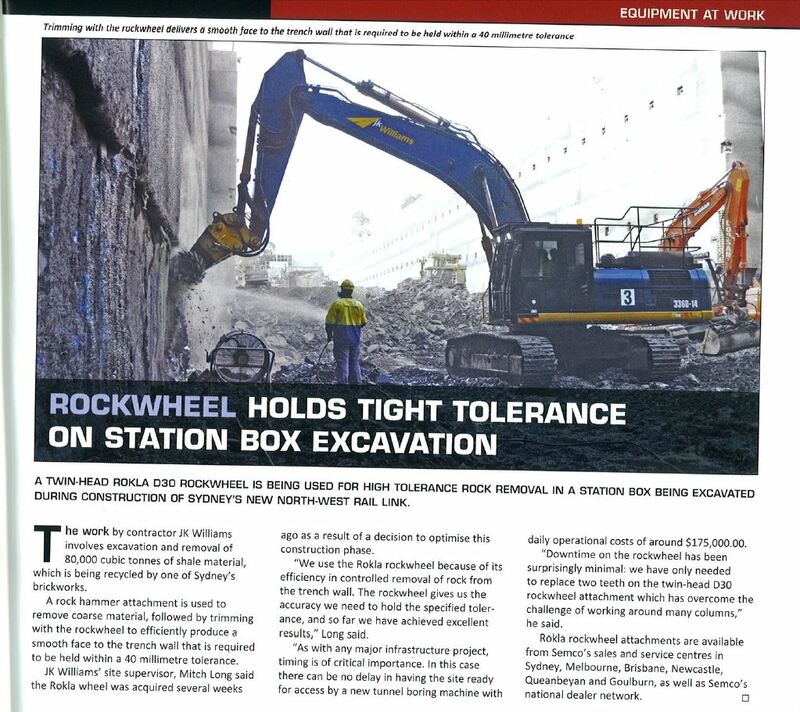 The Rockwheel D30 is getting some great press from down under. 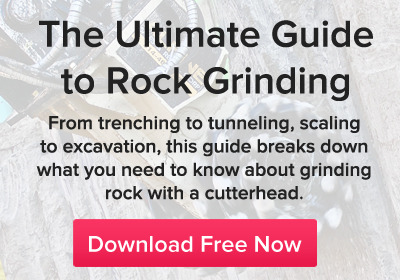 Extremely precise rock grinding with minimum disturbance to the adjacent material. The same applies to tunneling work and concrete removal on sensitve structures. Alpine stocks the full line of Rockwheels for excavators in every size class. Rental rock grinders are always available as well so you can try them on your equipment at your jobsite. The Rockwheel will prove its worth!